Being family-owned and operated since 1971 means we have a finger on the pulse of Omaha and Lincoln communities. 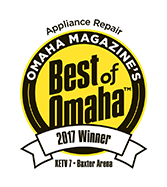 We have become one of Nebraska’s top appliance repair companies over the years by no cheap trick or illusion. At the risk of tooting our own horn just a touch, we want residents of communities like La Vista, Bellevue, Papillion, Gretna, Bennington, Elkhorn, Fremont, and even those from Council Bluffs to know that we are a group of dependable appliance specialists who will treat your individual situation with the unique care that it deserves. 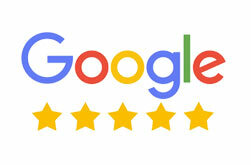 From our inception in 1971 to today, we make a point to have an intentional culture of excellent customer service from top to bottom in our Lincoln and Omaha appliance repair company. In times past, you could call up appliance repair specialists for individual appliances. As recently as the 1980s, for example, most appliance manufacturers didn’t have more than a small range of appliances to choose from. It was also the case that most appliance repair specialists had a singular specialty. It wasn’t uncommon to find a specialist in dishwashers, for instance, and sometimes that specialist only dealt with a particular brand of dishwashers. So if you were looking for dishwasher repair service in Omaha and, more specifically, needed Kenmore dishwasher repair or Samsung dishwasher repair, you would need to use your trusty old phone book (remember those!?) and look up someone who could handle your make and model. Times have changed, however. Most major appliance brands make everything from A/C units, refrigerators, dishwashers, dryers, washers, dishwashers, all the way to standalone freezers. You get the idea. With the modernization of appliances, there became not enough work for specialists to exist. That meant appliance repair needed to adapt. Appliance repair specialists were faced with a choice. They needed to develop a strategy to handle being ubiquitous specialists across all major appliance brands. That’s quite a lot of brands, when you stop to think about it (we think about it fairly frequently, as it’s our job to do so). We are talking about being able to service brands like Uline, Samsung, Viking, Dacor, Danby, Fisher-Paykel, Asko, GE, LG, Miele, Avanti, and many others. Appliance repair companies could either do their due-diligence and become experts in their craft, have access to thousands upon thousands of appliance repair parts that they would need, or they could fake it. Perhaps “faking it” is too tough of a word, but it’s not unheard of within this industry to learn about some appliance repair technicians getting drowned in work, only to have them succumb to the pressure of it all. A technician at a national appliance company might not have time to examine a problem with a Frigidaire washer and perform an in-depth Samsung fridge repair in the same afternoon timeslot. So what is to be done? Just tell the customer the washing machine needs new drum bearings and order the spare parts without taking the time to gain a deeper understanding of the situation. That isn’t an aberration, either. It’s not easy for a new technician, still earning his or her marks in the industry by learning on the fly every day, to handle Viking repair, Samsung appliance repair, and A&E appliance repair all in the same day. So…what does the way of due-diligence look like? Brilliant question, we are glad you asked! On the front page of our website, you’ll find that we make a point of saying that we take “a unique approach to appliance service.” For starters, we aren’t national, we are a local appliance repair company, with appliance service centers in Lincoln and Omaha. We also have the region’s largest parts inventory, meaning that we have access to the correct parts. That way, we can solve your issue accurately and timely. That makes a difference when it comes to being able to do laundry again, or even keep uncanned items in your refrigerator! Our technicians are fully equipped with laptops to make sure that they have access to the most updated information regarding the technical details of your appliance. We also are able to order the correct replacement part directly from your home so that we can get the ball rolling as quickly as possible. Our technicians are Certified Master Appliance Technicians, which means they are held to high-standards within and outside of our company. 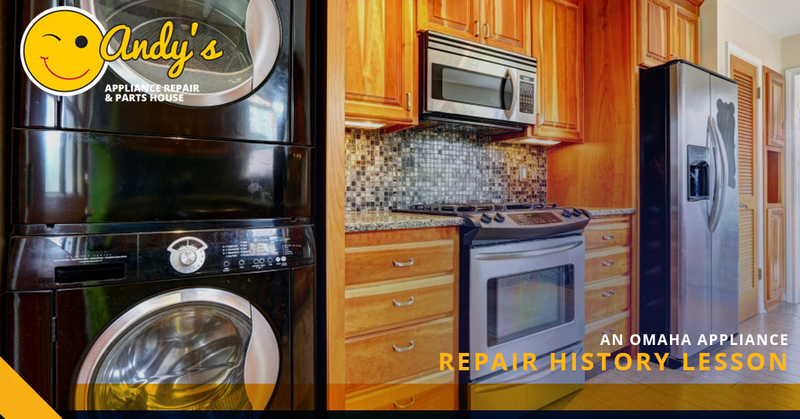 Altogether, they have over 100 years of combined appliance repair experience. All of our technicians are certified with MATTC and M-CAP licensing. Why? Because we care about doing things the right way, about being around for longer than just a few years. 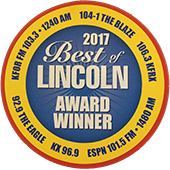 We are ingrained within our Omaha and Lincoln communities, and with that comes a certain pride for providing our neighbors with excellence in appliance repair. In this case, having these certifications means you can trust us to have a deeper understanding of your appliance and its issue when we enter your home. Speaking of entering your home, another aspect of our unique approach to appliance service is to take on a guest mentality. We operate with respect and punctuality, always doing our best to make it within the 2 hour time slot we’ve scheduled with you. Even though we’ve mentioned it in previous posts, we want to remind you that we won’t ring the doorbell, we will knock (doorbells wake napping kiddos and babies!) We will also call ahead to let you know we are on our way! This is a good time to note that while we have a large service area, we are not so big a company that our clients will get lost in the shuffle, so to speak. We have 12 fully trained appliance repair technicians. 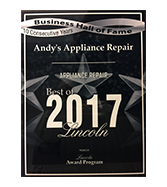 With Andy’s Appliance Repair receiving awards in Omaha, Lincoln, and by Angie’s List, we hope that it becomes clear that you can trust Andy’s with your Lincoln and Omaha appliance repair needs. It’s why we say that we’ve got you covered! Our appliance parts centers are Certified Service Centers, which isn’t handed out to just anybody. It means we are held to a higher standard with a more rigid code of conduct than the other guys. Why should you care? The same reason you should care about any of this information, it means you get knowledgeable, friendly expertise that you can trust. When it comes to a dilemma like refrigeration repair vs replacement, you need to be able to trust the advice you are getting. When the difference is between hundreds vs. thousands (and it’s not always a straightforward choice), it helps to have Andy’s by your side helping you weigh the pros and cons of either decision. We stock thousands of parts for all of your major appliances. Whether you are looking for dryer, oven, stove, dishwasher, refrigerator, or small appliance repair, we are the local appliance service company that has the depth and breadth of knowledge to handle your specific need. It isn’t easy being experts in such a wide variety of brands and models, so we thought we would share with you why we are a unique entity here at Andy’s. Reach out to us to schedule your appointment today.